Is one of your New Year’s Resolutions to start actually backing up your data? 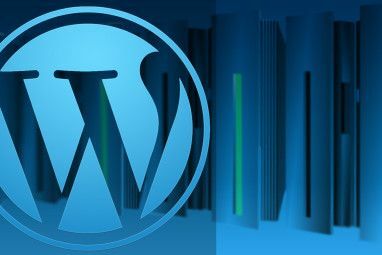 If so, you’re in luck because we’ll be discussing today an open-source program that will let you upload to multiple file hosts Top Free File Hosts To Store Your Files Online Top Free File Hosts To Store Your Files Online Read More at once. There are a couple of web apps that can do more or less the same, such as Gazup, MirrorCreator, and Load2All. 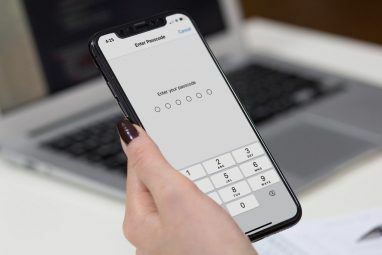 What distinguishes the application presented in this article, Neembuu Uploader, is that it’s open-source and it also allows you to define your account login details so you can upload files to your own account. If you’re intrigued by the sound of that, read on and find out how Neembuu Uploader works. You can download the application from the main website, which looks very polished by the way, or you can head to this URL which is the directory for all the zipped files. In case you’re wondering which zip file to grab, in this article I’m reviewing version 2.6 of Neembuu. For either of the versions, you’ll need to make sure you’ve got at least version 1.6 or newer since Neembuu Uploader is a Java application (think of it as a sibling to jDownloader How to Download Files From RapidShare the Easier Way How to Download Files From RapidShare the Easier Way Read More , but with the exact opposite feature set). You can always go and get the latest Java over at Java.com. Once you’ve downloaded the zip file, double-click on the .rar file to run the program. You’ll get a window to type in all your login information for any of the 30 major file-hosting sites. If you don’t quite need to upload files to a specific account, you can skip this part and close the window. On the next window, you can drag and drop files or use the browser to select your files. At this point, you can also select your hosts again, a setting which will be remembered for your future uploads. Once your hosts and files to upload are selected, you can add them to the queue, reorder them and click on Start Queue to begin the upload process. At any point, if you feel like you need to stop uploading, you can click on Stop Further. Once the upload process has ceased, right-click options will be enabled so you can copy the download link or delete URLs, if your selected file host supports that option. After you’ve used the program a few times, if you ever need the download URLs for a file you uploaded previously, you can click on Upload History to see a list of uploaded files and their respective links. You can also export that list to an HTML file with the links for easy backup and/or sharing. Open-source and free: If you’re worried that your account information will be leaked somehow, you can look at the source code and even help modify it. Cross-platform: Neembuu Uploader will run wherever Java runs. Supports more than 30 file hosts: Dropbox 5 Cool Apps That Make Dropbox Even More Useful 5 Cool Apps That Make Dropbox Even More Useful Read More , Mediafire, MegaUpload Download From RapidShare Without Waiting With Tucan Manager Download From RapidShare Without Waiting With Tucan Manager Read More , ZippyShare, MultiUpload (which itself supports uploading to around 10 file hosts), and more. Translated to Brazilian Portuguese, Chinese (Simplified and Traditional), Dutch, French, German, Spanish, Vietnamese, and more. You can drag and drop files to add them to a queue and start uploading. Can set upload limits in case you have a slower connection or are multi-tasking. By default, the maximum number of uploads is 2. You can view your upload history and export download URLs to an HTML file for further backup and/or easy sharing. 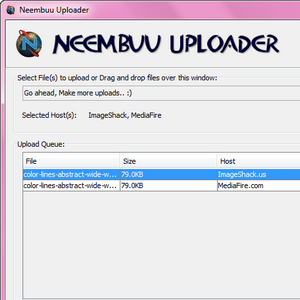 You can save queued files so you can upload them next time you open Neembuu. Overall, Neembuu Uploader makes uploading to file hosts so easy you’ll wonder why you ever uploaded files on separate websites manually. How do you upload to file hosts? Let us know in the comments section below! Explore more about: Data Backup, Web Hosting. 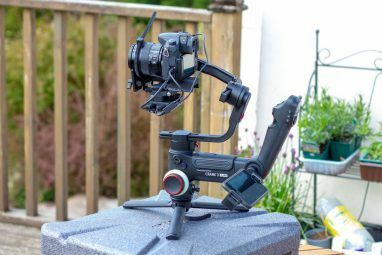 About time someone came out with something very useful, this tool get my Two Thumbs up! Jessica is interested in anything that enhances personal productivity and that is open-source.